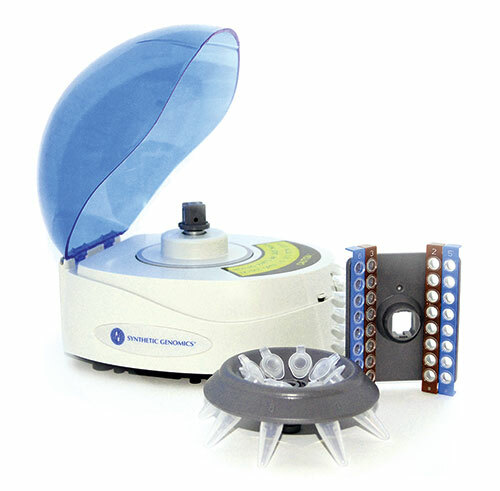 The Bio360™ Minifuge is a compact and economical personal microcentrifuge for tubes and strips. Designed for optimal convenience and increased user efficiency, the Bio360 Minifuge performs low-speed centrifugation and quick spins of 0.2–2.0 mL microcentrifuge tubes and 8-tube strips. The 8-tube strip rotor makes this microcentrifuge the ideal companion to use in conjunction with the BioXp™ 3200 System, a personal genomic workstation that builds DNA fragments and vector-based clones, hands-free.